CHRISTCHURCH Pedestrian Bridge in Caversham will light up in red on 24th March to highlight the issue of tuberculosis (TB). Reading Council and South Reading Clinical Commissioning Group (CCG) are also supporting World TB day with series of community events in March. Representatives from South Reading CCG, TB specialist nurses from Royal Berkshire Hospital and members of Reading Council’s public health team will be providing advice and support with information stands at Central and Battle Library on 22nd March. Early detection of active TB infection and tracing those who may have been in contact is vitally important in the fight against the disease, as well as identifying those with latent (sleeping) TB. TB is a disease caused by bacteria that can affect any part of a person’s body but most commonly affects the lungs. It can be infectious but can be cured by taking treatment. The Council and its partners in the NHS, South Reading CCG, together with the TB Team at the Royal Berkshire Hospital, are keen to encourage an improved uptake of latent TB screening available in Reading. A person may feel perfectly well and display no symptoms, but may be carrying a sleeping TB infection. Approximately one third of the world’s population has sleeping TB. People can be at risk even if they have had a chest x-ray and it was clear, and even if they have had a BCG vaccination, as this does not protect for life. People are encouraged to use the free health screening service available in Reading for people newly arrived in the UK who may have been exposed to the disease. Advice and referrals can also be sought by visiting a GP. Reading’s Lead Councillor for Health, Graeme Hoskin, said: “I’m delighted this year we can support the global TB awareness campaign by lighting up Christchurch Pedestrian Bridge. The community events in March are also one of many ways that we aim to raise awareness and reduce TB infection. Expert teams will be on hand to answer any questions, talk about TB and its symptoms and give advice about testing for latent TB. Photo opportunity: There will be a photo opportunity on Christchurch Bridge at 6.30pm on Saturday 24th March with Cllr Graeme Hoskin, Reading’s Lead Member for Health, members of the Council’s public health team, and representatives from South Reading CCG. Reading Health and Wellbeing Board has identified reducing Tuberculosis (TB) as a key priority within the Joint Health & Wellbeing Strategy, the strategy aims to promote and protect the health of all communities, particularly those disadvantaged and TB is a cause of health inequality in Reading. The New Entrant Health Screening Clinic, based at the hospital, offers a range of tests for people who have arrived in the UK in the last five years and who were born or spent more than three months in a country with a high incidence of tuberculosis (TB). Although people with sleeping TB are usually well and cannot pass the infection to others, it can develop into an active, infectious disease that is spread through the air. The risk of latent TB turning active is heightened when the body is put under stresses, for example, moving countries, starting studies or exams. A chest x-ray is required as part of UK visa requirements, but the latent TB infection does not always show up and can only be found with special tests. Treatment can then be given to prevent active TB disease from developing. For more information or to book an appointment at the health screening clinic, please contact the service on 0118 322 6882. Tuberculosis (TB) is the leading cause of death from an infectious disease worldwide, ranking above HIV/AIDS and, in 2016, 10 million people developed TB disease. The last five years have seen a welcome 32% decrease in TB cases in England, following an unprecedented two-decade-long rise in cases. This success is thanks to the combined efforts of local TB services, regional TB Control Boards, and partners, coming together under the national TB programme. This is the fifth consecutive year there has been a reduction in TB numbers and the number of people with TB is now the lowest seen in the past 17 years. Yet in 2016, 5,664 patients in England were affected by TB. Locally in Reading the number of TB cases was 27. The incidence rate of TB in Reading is 17 per 100,000 population. 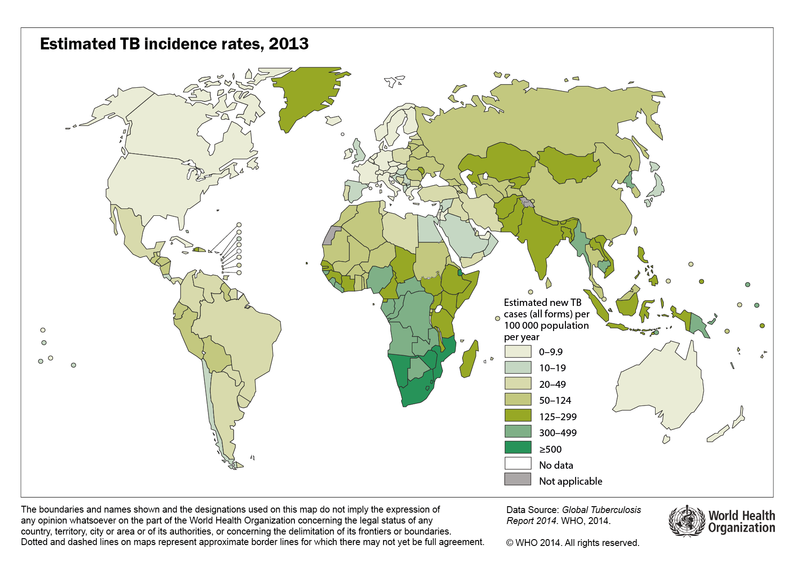 The local reduction in TB cases since 2012 was 37% for Reading. TB is a disease caused by a bacterium called Mycobacterium tuberculosis. It can affect many parts of the body but usually affects the lungs and is curable with a course of antibiotics. TB is difficult to catch as it is only transmitted after prolonged close contact over several days. It is spread through the air when infectious people who have the disease cough, however it is rare for people other than household contacts to catch the infection from someone with TB. World TB Day is always on the 24 March and is designed to build public awareness of TB. It commemorates the day in 1882 when Dr Robert Koch announced the discovery of the cause of TB. At the time of Koch’s announcement in Berlin, TB was rampant throughout Europe and the Americas – killing 1 person in every 4. Koch’s discovery opened the way towards diagnosing and curing TB. World TB Day is an opportunity for people everywhere to join this fight by helping to educate others about TB and by urging governments to take action. Now is the time to join the global movement in making a powerful statement and show solidarity. This year’s global campaign ‘Light up the World for TB’ includes lighting up public buildings, monuments and famous landmarks in red.